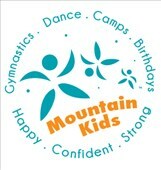 I, the Responsible Adult, agree that the child(ren) named above may participate in any of the sporting, recreational, and other physical activities and programs of Mountain Kids Louisville, LLC (the organization). I understand that participating in such activities, including group activities with other persons, may be risky even under the best of conditions. I understand that participating in all such activities, including but not limited to gymnastics, dance, tumbling, trampoline, swimming, cheerleading, acrobatics, and parent-shared gymnastics, and using gymnastics and other sports equipment, could result in potentially severe injuries or illness to me or the child and damage to equipment and other personal property belonging to me or the child. I agree, on behalf of myself and the child, to assume all risks in connection with the activities described above. I release the organization and those acting on its behalf from liability for any injury or illness incurred by me or the child and for any damage to any equipment or other personal property belonging to me or the child. I agree to indemnify and hold harmless the organization and its officers, employees, and other representatives from any and all claims, demands, causes of action and to reimburse the organization and its officers, employees, and other representatives for any expenses, including attorney fees and court costs, that they may incur in connection with any injury or illness to me or the child or any damage to equipment or other personal property, however caused. I certify that I have obtained adequate insurance to cover any such injury, illness, or damage, or else I agree to bear the costs of such injury, illness, or damage myself. I understand the nature of the activity, and I represent the student is qualified, in good health and in proper physical condition to participate in the activity. Should I ever believe any of the above representations have become untrue, or if I should ever believe the activity is not safe or is no longer safe for the student, then it will be my responsibility immediately to discontinue the student's participation in the activity. I, on behalf of myself and the child, agree that the organization and its representatives may take and use pictures, videos, and other images of me or the child during any of the organization's activities and programs. I understand that the organization reserves the right to use and publish the pictures, videos, and images in any fashion for the organization's promotional purposes on brochures, print media, wall hangings, web sites, and other media and that the organization will not pay compensation to me or to the child for the use of the pictures, videos, and images. I acknowledge that I have read this entire document, that I understand and agree with each statement in it, and that I am signing it voluntarily and with full knowledge of its contents. You may register for any class at any time as space allows. Our classes are based on a continuous learning cycle. We consider gymnastics and dance year round activities. Both are incredible developmental opportunities for kids of all ages. To see the most growth and progress possible please plan to attend a minimum of 8 weeks of classes and preferably longer to gain the most from your student's gymnastics and dance education. Students are evaluated 1/2 way through each semester and again at the end of each semester. During these times parents are invited in for a celebration and performance! We truly believe performing is an integral part of your student's dance education and strongly encourage all dancers to participate in these positive performance opportunities. Tuition is based on a monthly/4-week billing cycle. Tuition is automatically debited from your debit or credit card on the 16th of each month for the following 4-weeks of classes. This occurs from September 16th thru June 16th. (For example: You will be debited on February 16th for March classes) Occasionally months may be longer or shorter in length and tuition will be adjusted accordingly. We are happy to schedule a make-up for a missed class within the month the class is missed when space allows. Please remember your tuition pays for your student's space in class NOT your attendance. To withdraw from classes please email fun@mountainkidslouisville.com, or complete a withdrawal form (available at our front desk) by the 15th of the month prior to the month you wish to withdraw from. (For example: please let us know by February 15th that you wish to discontinue as of March). Please make sure you receive a confirmation of your withdrawal. Withdrawals received after the 15th will result in a class credit to be used at a future date.